We consider the problem of computing orthogonal drawings and quasi-upward drawings with vertices of prescribed size. 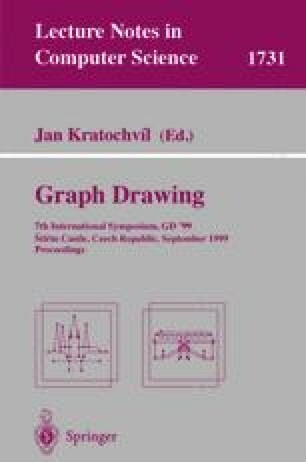 For both types of drawings we present algorithms based on network flow techniques and show that the produced drawings are optimal within a wide class. Further, we present the results of an experimentation conducted on the algorithms that we propose for orthogonal drawings. The experiments show the effectiveness of the approach.